Prof. George Njenga: "Ecco le mie Afriche"
Intervista al Prof. George N. Njenga, membro dell'Advisory Board AISES nonchè fondatore della Strathmore Business School University in Nairobi, nella quale vengono affrontati i mali del continente africano e le possibili soluzioni. Of all of the purposes of government, one of the most important but often neglected is to mobilize science and technology to solve critical challenges. Modern society depends on highly complex technological systems for our safety and prosperity. Without these advanced technological systems, we’d have no chance to sustain national prosperity, much less to meet the basic material needs of a global population of 7.4 billion people. Yet managing and improving those technologies requires a large and sustained investment by government alongside business and academia. The key idea here is “directed technological change,” meaning that scientists and engineers are pulled together to solve a complex challenge in the national interest. The challenge is not only important and solvable, but because of its nature, is not the kind of challenge that the private sector alone will solve in a timely way on a for-profit basis. Modern American history is replete with such endeavors. No doubt the most famous and consequential of all was the Manhattan Project during World War II. It is a stunning example of directed scientific and technological effort, showing how the most complex and cutting-edge scientific challenge can be met through targeted investments. In 1938, on the eve of World War II, European physicists discovered the principle of nuclear fission (splitting an atom by a neutron, releasing enormous energy and more neutrons) and the possibility of a nuclear chain reaction. Within a year, physicists realized that this could lead to a new kind of atomic bomb and the threat that Nazi Germany might get there first. Albert Einstein and Edward Szilard wrote a world-changing letter to President Franklin Roosevelt advising the president of this risk and urging a US effort to develop such a weapon before Germany. The Manhattan Project got underway intensively in 1942 and culminated in the atomic bomb in 1945. The project engaged many of the world’s leading physicists in the effort and led to countless scientific and technological breakthroughs in a three-year period. Thus was born the nuclear era. The mobilization of great minds, national laboratories, and private companies in pursuit of well-defined objectives is therefore not a quixotic quest. The lessons of the Manhattan Project were taken up after World War II in many important areas of national security, public health, new technologies, and general science. From the birth of modern computing, to the polio vaccine and the space age, to the human genome and the Internet, directed technological change has repeatedly shaped and advanced the US economy and the modern world. These efforts are all characterized by highly complex challenges; a sense of national urgency; and a mix of academic, philanthropic, commercial, and government organizations and financing. As with the Manhattan Project, the US space effort was launched as a national security effort, part of the Cold War competition with the Soviet Union. After the Soviet Union successfully launched the Sputnik satellite, in 1957, the US ramped up its own efforts. In May 1961, President John F. Kennedy inspired the nation with his call for America to commit itself to “achieving the goal, before this decade is out, of landing a man on the moon and returning him safely to Earth.” The United States thereafter spent around 0.5 percent of GDP each year for the balance of the decade to support NASA’s successful moon effort, mobilizing an estimated 500,000 workers and 20,000 companies. The spillovers in computing, semiconductors, aeronautics, telecommunications, materials sciences, and countless other areas of science and technology have of course been profound. The Internet was similarly given birth in a US government effort again linked to national security. In this case, the Defense Department was interested in creating a network of computers that could support a resilient command-and-control system military, supported by a geographically dispersed access to a few major computer centers around the country. The core building blocks of the Internet were developed as part of the Defense Department’s ARPANET project that ran from the late 1960s until 1990. Building on ARPANET, the US National Science Foundation during the 1980s established and developed a network linking major US universities. From the 1990s onward, these publicly financed efforts became the foundation of the Internet and the vast commercial business world built upon it. The list of such targeted technology efforts is long and inspiring. Moore’s Law, the repeated doubling of computer power roughly every two years since the late 1950s, builds on industry and government technology roadmaps. The Human Genome Project, to map the human genome, was a breakthrough program during 1990-2003 that engaged leaders in academic biology, private biotech startups, and major government research centers in the United States and abroad; the continuing spillovers in countless areas of public health, medicine, agronomy, archeology, anthropology, and many other disciplines remain vast. Even hydraulic fracturing (“fracking”) to produce oil and gas from shale rock depended on the early initiatives of the US Geological Survey. For these reasons, the frequently heard political complaints about federal funding of early-stage technologies (e.g., of the solar company Solyndra or electric vehicle Tesla) seriously miss the point of the key role of publicly supported R&D in delivering cutting-edge technologies (a point well documented by economist Mariana Mazzucato in her book “The Entrepreneurial State’’). Not every R&D project bears fruit, to be sure; such is the nature of cutting-edge research. Yet the track record of public-private-academic-philanthropic partnerships to advance science and technologies in critical areas is a key pillar of America’s prosperity and technological excellence. One of the threats to America’s well-being indeed is the current insufficiency of such efforts in areas of critical need. There are many highly promising and crucially important areas of R&D where purely private and profit-driven efforts based on the incentives from patenting are falling far short of social needs. Compare, for example, the $30 billion per year funding that is directed to biomedical science through the National Institutes of Health (itself too low a budget) with the mere $7 billion per year that is currently spent by the federal government on research into renewable or other low-carbon energy technologies. The threat of climate change is on the scale of trillions of dollars of damages per year, and the solutions depend on the rapid transition from fossil-fuel-based energy to zero-carbon alternatives. Consider two promising areas of energy research. The successful ramp-up of renewable energy depends in part on low-cost, highly reliable batteries with higher energy density (energy per unit weight). Battery technology is a major scientific and technological challenge, with the need for extensive research, much of it by highly sophisticated trial and error. Yet federal battery research is estimated to be around $300 million per year, a small fraction of the amount that could be usefully deployed by the nation’s laboratories and universities. Another case is carbon capture and storage (CCS) technologies, the only climate-safe way to deploy fossil fuels in the future. Some technologies are attracting private capital, but much of the science (such as the geological research) is almost entirely a public good that requires public rather than private financing. Worldwide, the scale of public financing for R&D related to CCS remains minuscule, and clouds the prospects of any potential significant and timely deployment. Other areas crying out for greater public investments in R&D include: smart grid systems to manage 21st-century infrastructure; fourth-generation nuclear energy; advanced materials sciences for environmental sustainability; the early identification and control of emerging epidemic diseases such as Zika and Ebola viruses; advanced agricultural technologies for crop resilience to climate change; improved nutrition; geriatric medicine (including the soaring costs of Alzheimer’s disease); and improved cyber-security, including for important e-governance functions such as online voting. Because of America’s chronic underfinancing of discretionary public spending, America’s technological leadership is being undermined. Yes, America is home to more of the world’s leading universities than any other country, and still has the greatest depth of scientific and engineering capacity, yet the chronic under-investment in cutting-edge science and technology puts the US technological capacity at risk. Measuring R&D as a share of national income, the United States now ranks ninth among high-income countries of the Organization for Economic Cooperation and Development. US R&D outlays are around 2.7 percent of national income, compared with more than 4.0 percent of GDP in Korea and Israel, and more than 3.0 percent of GDP in Denmark, Finland, Germany, Japan, and Norway. In total dollars, China is currently around three-fourths of US outlays, and is very likely to overtake the United States during the coming decade on current trends. As in past grand, projects should be guided by urgent public needs, and by areas where public financing is vital because private financing is inappropriate. That includes areas of basic science (where patents simply make no sense); challenges where market-based approaches are inappropriate (such as control of epidemic diseases); goals that depend on the very rapid uptake of new technologies, so that private patents would clog rather than accelerate deployment (smart power-grid protocols for integrating intermittent renewable energy); and goals that involve major social policies regarding risk and liability (nuclear energy and carbon capture and storage). In many areas, such as disease control, crop productivity, and zero-carbon energy, much of the effort should be global, with costs and benefits shared across the world. Just as the moonshot eventually turned into significant global cooperation in space, our global-scale challenges also behoove us to create international as well as national frameworks for expanded R&D. The Department of Energy under Secretary Ernie Moniz is currently engaging 21 other countries to expand R&D on low-carbon energy, in the Mission Innovation Initiative. In this case, private-sector investors led by Bill Gates are stepping up alongside the government to invest “patient capital” in early-stage technologies. On May 11th, Global Sustainability Forum has been officially registered as a non-profit organization in Rome, with its headquarter in Piazza del Popolo, 3. GSF is chaired by Khalid Malik, former Director of the Human Development Report to the United Nations Development Programme , who appointed Valerio De Luca, President of AISES Academy, as Executive Director, Jean-Paul Fitoussi, OECD High Level Expert Group on the measurement of Economic Performance and Social Progress, and Pierpaolo Abet, CEO of Universal Trust, as members of the Executive Board. GSF is an high-level initiative that aims at stimulating debate on new ideas and pragmatic solutions in order to address shared global challenges and to develop responsible socio-economic engagements, through the building of an effective bridge among leaders, civil society and young people. The first meeting will be held in Rome at the beginning of 2017. It will bring the World into Rome and Rome into the World. The GSF has been launched and presented by Khalid Malik on May 10th during the High Level Roundtable “The Challenges of the 2030 Agenda for Sustainable Development: from Agreement to Global Action” organized by AISES and the Center of American Studies in the presence of important participants and speakers such as P. Gallagher, Secretary for relations with States at Holy See, H. Abouyoub, Ambassador of the Kingdom of Morocco, A. Husain Chief Economist World Food Programme - UN, S. Marguccio, Diplomatic Counselor of the Ministry of Italian Environment, A. Riccaboni, Rector of the University of Siena and Chair of the UN SDSN - MED and F. Confuorti, President and CEO of Advantage Financial. The Roundtable was preceded by a lunch with selected multi-national companies. 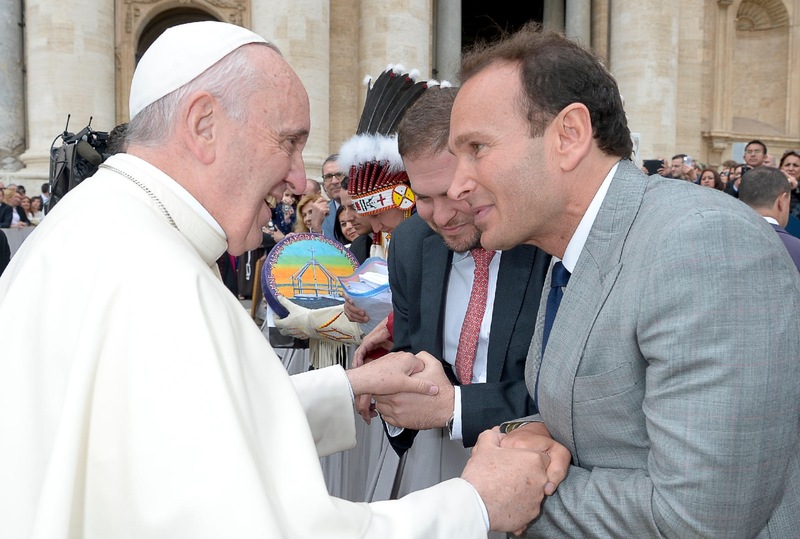 The GSF was announced by Valerio De Luca to Pope Francis on April 27th during the Audience at St. Peter Square. Comunicato Stampa - Dall’Agenda 2030 all’Azione Globale: è arrivato il momento di agire. 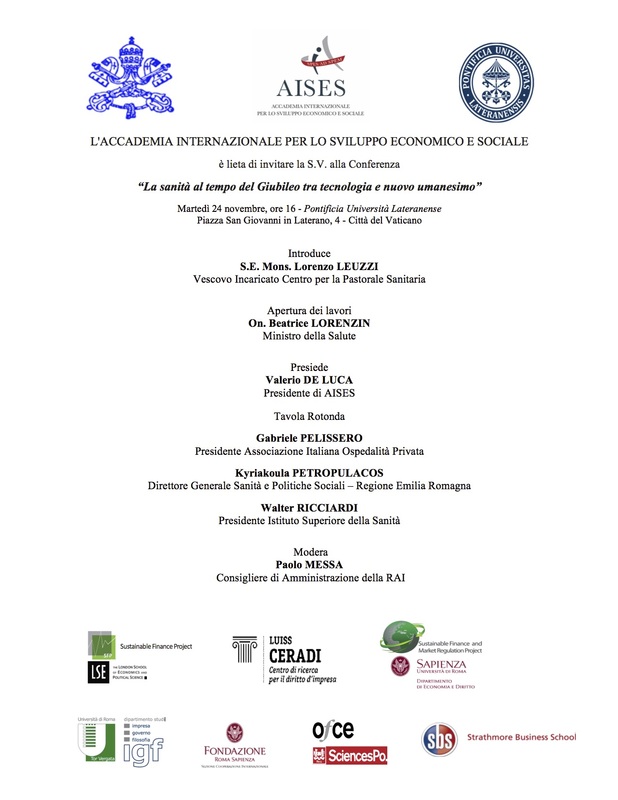 L’evento si è tenuto il 10 maggio 2016 nel palazzo del Centro Studi Americani, sul tema “Le sfide dell’Agenda 2030 per lo Sviluppo Sostenibile: dall’Accordo all’Azione Globale” alla presenza di illustri relatori, tra i quali Paul Gallagher, Segretario per le relazioni con gli Stati presso la Santa Sede, Hassan Abouyoub, Ambasciatore del Regno del Marocco, Arif Husain, Capo Economista e Deputy Director WFP e Paolo Messa, Direttore del Centro Studi Americani. Ha introdotto l’incontro il Presidente di AISES, Prof. Valerio de Luca, sottolineando l’importanza di una governance globale per la sostenibilità. L’evento è stato occasione per il lancio del Global Sustainability Forum, che terrà a Febbraio 2017, presentato da Khalid Malik, già Direttore UNDP Human Development Report Office e Presidente del GSF. Un’occasione per riunire leader mondiali ed esperti nel settore ed arrivare a dei risultati, con base a Roma, fornendo una grande opportunità a Italia ed Europa. E’ stata inoltre presentata la candidatura per il Premio AISES Young “Sulle spalle dei giganti” 2016 al Presidente degli Stati Uniti d’America, Barack Obama, per la sua lotta senza sosta per mettere in pratica delle misure efficaci per combattere il cambiamento climatico e per aver ricordato durante la COP21 che “siamo a un punto di svolta ed è il momento di essere congiuntamente determinati per salvare il nostro pianeta”. It is our pleasure to communicate that Enrico Giovannini is now member of AISES Advisory Board. Enrico Giovannini is Professor of Economic Statistics at the University of Rome "Tor Vergata" and Senior Fellow of the LUISS Guido Carli University "School of European Political Economy". He is member of the Club of Rome, member of the "Commission Economique de la Nation" of the French Government, Visiting Fellow of the European Political Strategy Centre of the European Commission. In 2014 he was appointed Co-chair of ‘'Independent Expert Advisory Group on the Data Revolution for Sustainable Development” established by Ban Ki-moon, Secretary General of the United Nations. 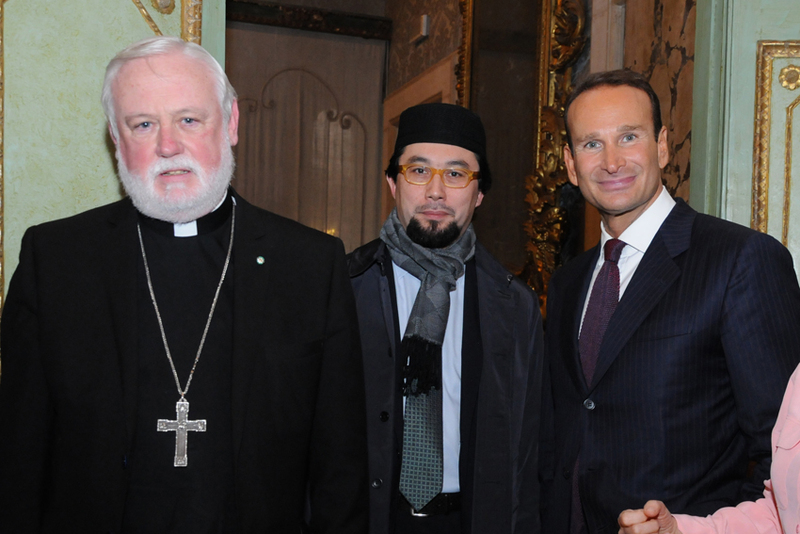 He has received several awards: the Prize "Best in Class" of the University of Rome "La Sapienza" (2009), the Gold Medal of the President of the Republic by the International Pio Manzu Center (2010), the lifetime achievement award on behalf of the "International Society for Quality-of-Life Studies" (2012), Gian Piero Orsello culture Prize - City of Civitavecchia (2013) and Eupolis Prize for his commitment to putting knowledge at the service of good governance by the region of Lombardy (2014). From July 2009 to April 2013 he was appointed President of ISTAT. 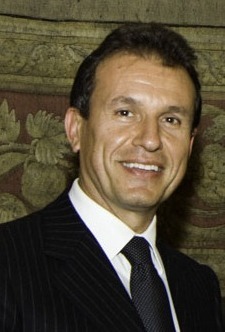 He left the office to become Minister of Labour and Social Policy of the Italian Government, a position held until February 2014. 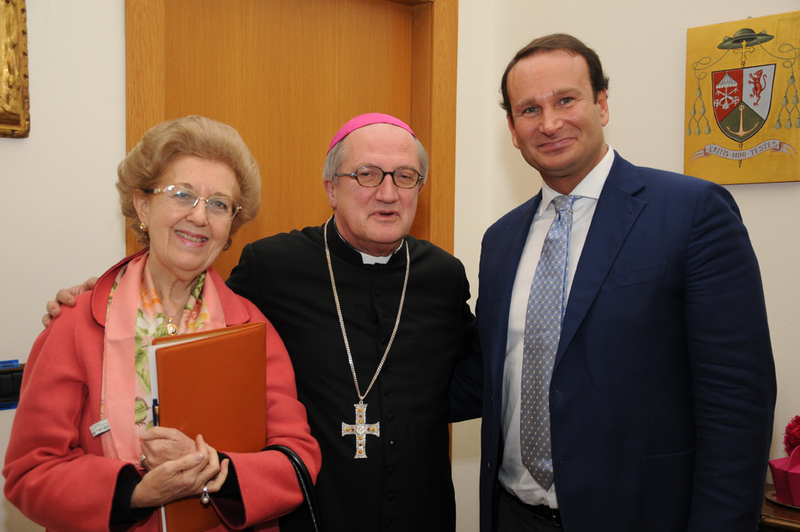 Then, he returned to academic activity at the Department of Economics and Finance of the University of Rome "Tor Vergata”. He holds the position of Chairman of the Statistical Advisory Board for the Human Development Index of the United Nations, Chairman of the Advisory Board of the European projects E-Frame and Web-SO, Co-President of the Strategic Forum for the measurement of well-being and is also a member of the High-Level Expert Group on the measurement of Economic Performance and Social Progress. He is the author of more than 90 economic and statistical articles that have been published on national and international journals and four other books: "Public Need, monetary policy and financial markets", "Economic statistics", "Understanding economic statistics" and "Choose the future. Knowledge and Policy at the time of the Big Data". E’ stato raggiunto con il prestigioso Centro Studi Americani di Palazzo Caetani, diretto dal nostro socio Paolo Messa, un altro importante accordo di collaborazione. 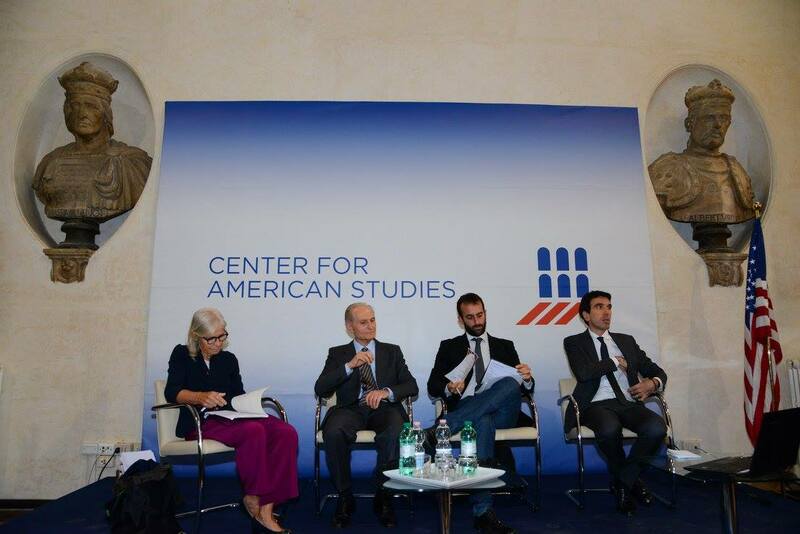 La partership con il CSA, finanziato anche dal Dipartimento di Stato U.S.A., riguarda l'attivazione del "Global Security and Foreign Affairs Program", che il Presidente Valerio De Luca avrà l’onore di dirigere e che intende porsi come piattaforma di confronto e di approfondimento con i protagonisti del settore governativo, diplomatico, accademico, economico e delle organizzazioni internazionali, attraverso high-level seminars, workshops, conferenze, policy making initiatives e pubblicazioni, favorendo inoltre dialogo intergenerazionale tra classi dirigenti e futuri leader. Le tematiche globali legate alla “Sicurezza” non riguardano solo la difesa dalla minaccia terroristica e la crisi migratoria, ma si intrecciano con le problematiche economiche, ambientali, tecnologiche, sociali e politiche: dalla sicurezza alimentare a quella energetica per non parlare poi della cybersecurity, dei Big Data, della cooperazione internazionale e della multilevel governance, attraverso la necessaria interdipendenza tra il settore pubblico, privato e la società civile. tema della Global Governance in queste aree del mondo. “La Sanità al tempo del Giubileo tra tecnologia e nuovo umanesimo”. Introduce S.E. Mons. Lorenzo Leuzzi, Vescovo Incaricato della Pastorale Sanitaria, apre i lavori l’On. Beatrice Lorenzin, Ministro della Salute, e presiede Valerio De Luca, Presidente di AISES. Interverranno: Gabriele Pelissero, Presidente della Associazione Italiana Ospedalità Privata, Kyriakoula Petropulacos, Direttore Generale Sanità e Politiche Sociali della Regione Emilia Romagna, Walter Ricciardi, Presidente dell’Istituto Superiore della Sanità. Modera Paolo Messa, Consigliere di Amministrazione della Rai. Vi segnaliamo che – per ragioni organizzative – l’accesso in sala sarà consentito dalle 15.30. 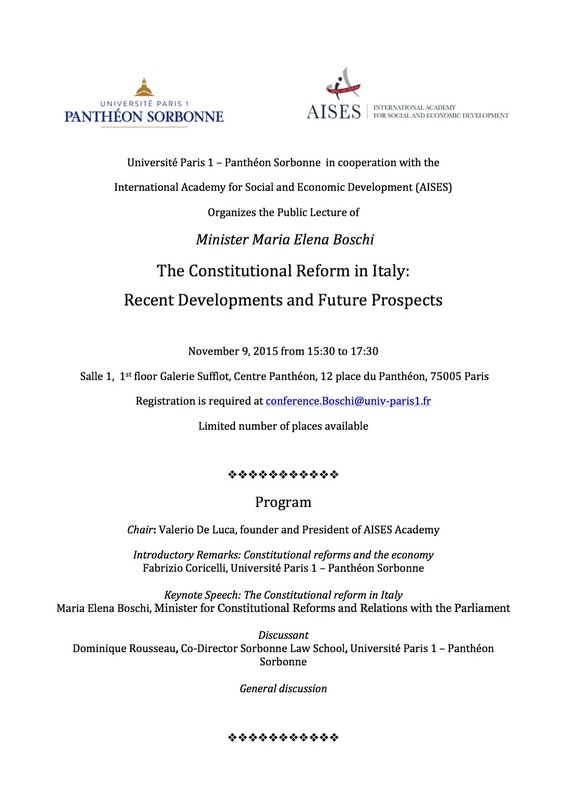 9/11/15 Parigi – Presso l’Universitè Paris 1 - Panthéon Sorbonne si è tenuta la Public Lecture “The Constitutional Reform in Italy: Recent Developments and Future Prospects” organizzata dall’Accademia Internazionale AISES, in lingua inglese, sul tema della Riforma Costituzionale in Italia. 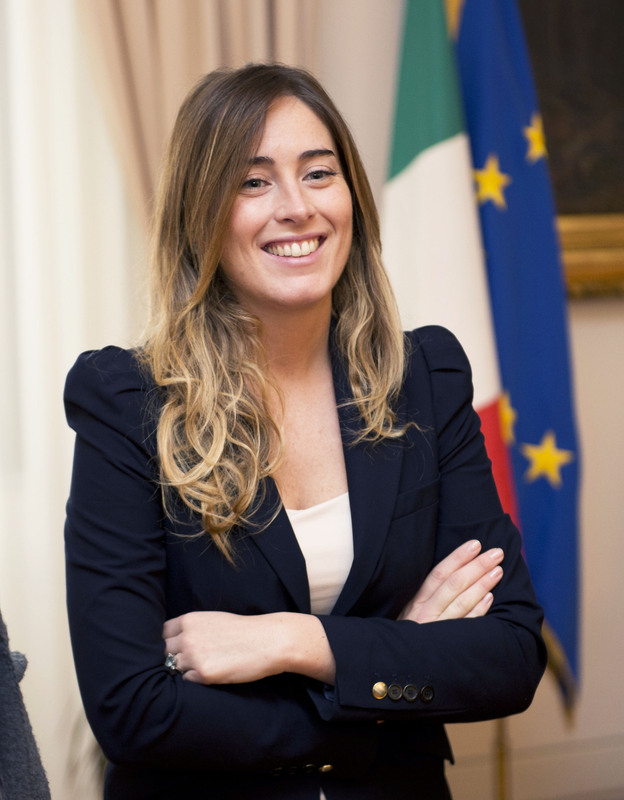 Sono intervenuti Maria Elena Boschi, Ministro per le riforme costituzionali e i rapporti con il parlamento, Fabrizio Coricelli, Professore della Facoltà di Economia della Sorbonne e membro dell’Advisory Board di AISES, e Dominique Rousseau, Co-Direttore della Sorbonne Law School. Chair dell’incontro è stato Valerio De Luca, Presidente di AISES. Tale iniziativa rappresenta uno snodo sostanziale per realizzare la strategia di internazionalizzazione delle attività associative, poiché ha permesso di promuovere il dialogo tra le istituzioni italiane e francesi e di ispirare giovani studenti di una delle più prestigiose università europee. “Le riforme sono fondamentali per la crescita, aiuteranno e incoraggeranno gli investimenti nei differenti settori”. 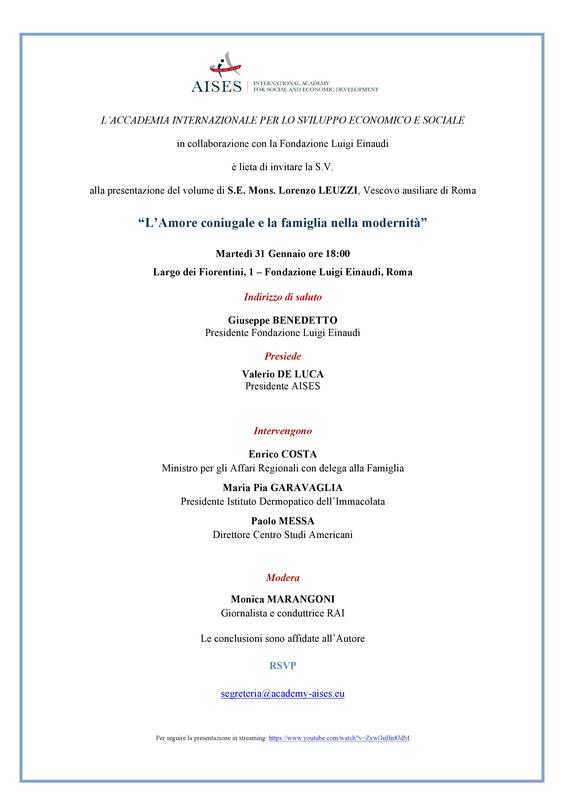 A questo incontro ha preso parte una delegazione composta da Valerio De Luca, da Angelo Anav, Segretario Generale di AISES, e da Giovanni Tria, Presidente della Scuola Nazionale dell’Amministrazione e membro dell’Advisory Board di AISES. Il nostro socio-fondatore Antonia Gospodinova è stata delegata per partecipare ai lavori del Congresso del Partito Popolare Europeo, tenutosi a Madrid il 21 e il 22 Ottobre 2015 sull'invito del Primo Ministro spagnolo, Mariano Rajoy. Al Congresso hanno partecipato 15 capi di Stato e capi di opposizione, tra cui Angela Merkel, Nicolas Sarkozy, Victor Orban e Boyko Borisov. Oltre all'elezione del nuovo Presidente del PPE, il francese Joseph Daul, e di 14 Vice Presidenti e un tesoriere, la politica economica e l'assistenza sociale sono stati i principali temi discussi al Congresso. Di seguito si riportano alcune foto del Congresso. 5/10/2015 - Last week AISES President, Prof. Valerio De Luca, visited South Africa with the South African Ambassador in Rome, Nomatemba Tambo. After the participation in the "Cape Town South Africa-Italy Summit - Building a Community of Leaders for growing their Enterprises", President De Luca met several representatives of University of Fort Hare, including: Vice Chancellor, Dr. M. Tom; Deputy Vice Chancellor to Academic Affairs, Prof. CL. Obi; Deputy Vice Chancellor to Institutional Support, Prof. A. Mdebuka; Registrar, Prof. M. Somniso; Director and Head of International Affairs Office, Dr. PM. Mahlangu; Dean of Management and Commerce Faculty, Dr. Ntosh Wayi; Senior Lecturer of the Management and Commerce Faculty, Prof. A. Tsegayi; Head of the English Department, Prof. D. Shober; Manager responsible of Stakeholder Relations and Advancement Department, Mr. L. Piti. University of Fort Hare represents a centre of excellence in which a Nobel Prize Winner, Nelson Mandela, and several Head of States and members of institutions were educated to a visionary and effective leadership. Today we are pleased to announce an agreement for education, research and international exchange programme between the International Academy AISES and the University of Fort Hare. More details of the agreement will be provided in subsequent communications. You can find attached below some photos of the day. 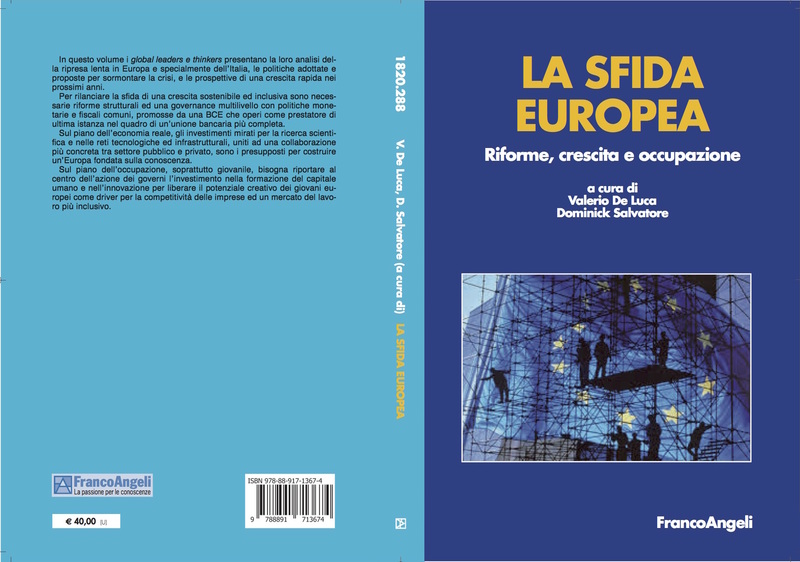 “Libertà religiosa, sicurezza e sviluppo in Europa”. Apre i lavori e presiede Valerio De Luca, Presidente di AISES, e introduce Edith Arbib Anav, Responsabile del Dialogo Interreligioso di AISES. Le conclusioni saranno affidate alla Sen. Roberta Pinotti, Ministro della Difesa. Modera Paolo Messa, Direttore del Centro Studi Americani. 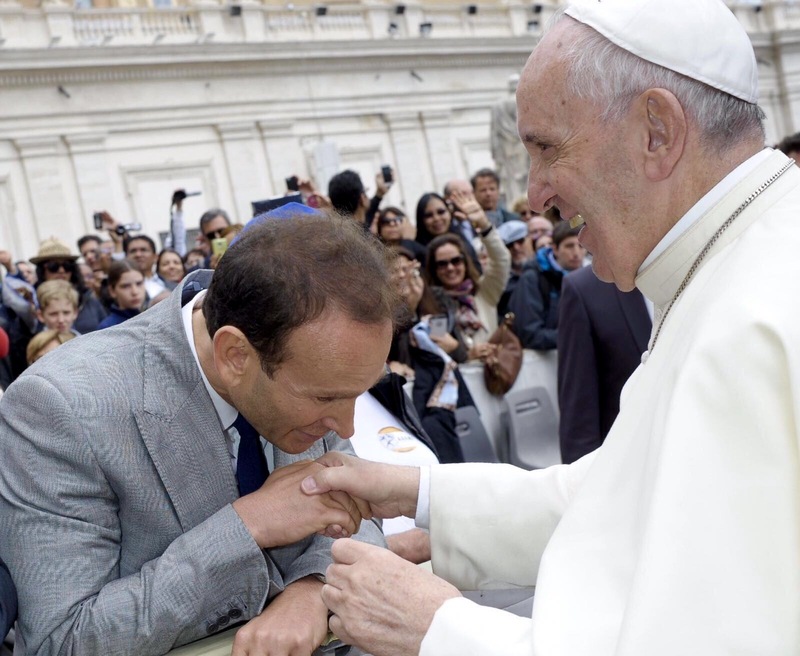 In tale occasione, sarà annunciata e motivata l’assegnazione da parte dell’AISES Young del Premio Internazionale “Sulle spalle dei giganti” 2015 a Sua Santità Papa Francesco, premio che lo scorso anno è stato conferito e consegnato al Presidente della BCE, Mario Draghi. Vi segnaliamo che – per ragioni organizzative – l’accesso in sala sarà consentito dalle 15.30 solo esibendo il presente invito. All'interno del Palazzo è raccomandato un abbigliamento appropriato e agli uomini è richiesto di indossare giacca e cravatta.